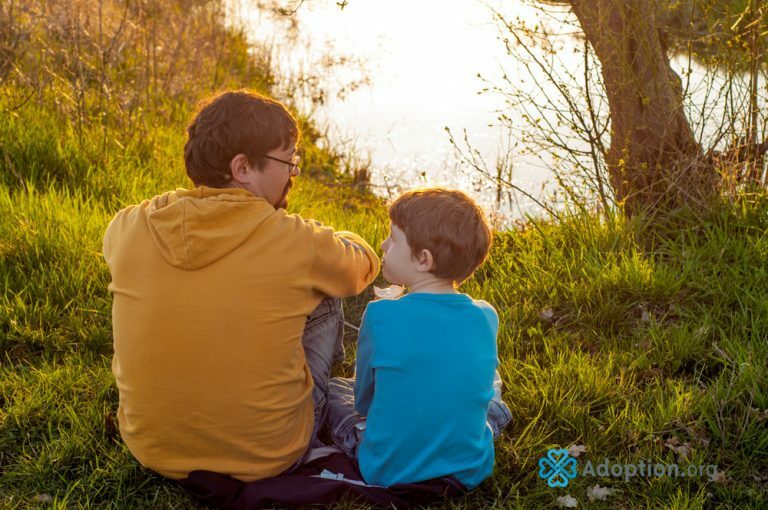 How Do I Tell My Child He/She Is Adopted? The best thing you can do is start when your child is very young. It is exceedingly better to grow up knowing your adoption is part of your story than to find out abruptly later in life. I was adopted when I was born, and I have literally known I was adopted since before I can remember. My adoption was always spoken of openly and honestly. When I was too small to understand the concept of adoption, my mom would say, “You didn’t grow under my heart; you grew in it.” When I was a little older, she explained that she couldn’t have any biological children, so God chose someone else to bring me into the world. She said I was always meant to be hers. Ultimately, the explanation you give is not as important as when you have the conversation. Just be as honest as you can be about the adoption story based on the age of your child. Some details may need to be postponed until he or she is mature enough to hear them. You may think you are sparing your child’s feelings or simply avoiding a tough conversation, but I promise you that is not a good idea. Late discovery adoptees pay a price emotionally for something that was never their fault. Telling an adoptee later in life can cause intense feelings of shame. You would be essentially showing that the adoption was a negative thing. Why else hide it before? She could end up feeling like a deep, dark secret that needs to be hidden away. That can ruin a child’s sense of self-worth. It’s important that you give her any support that’s needed. Give assurance that you will always love and care for her. Then do your best to answer any questions that may come up as time goes by.